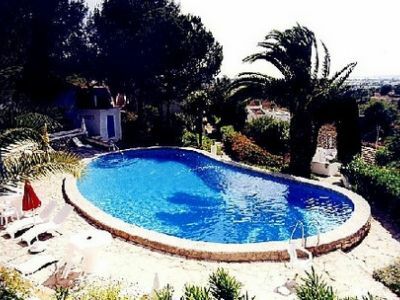 The Quinta da Saudade is a small, privately-owned development, occupying some 24 acres, about 5 miles west of Albufeira and only 45 minutes' drive from Faro airport. 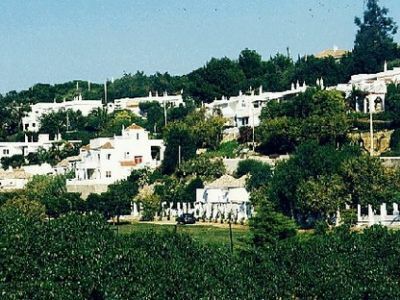 29 villas and apartments enjoy a peaceful country setting on an old hillside farm estate, amongst orange, almond and olive trees. 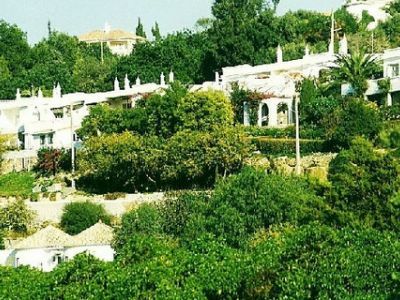 From the villas there are wonderful views across open farmland towards the sea, which is less than 2 miles away. Here, the nearest beach is a magnificent long stretch of sand, bounded by dunes, where it is always possible to escape the crowds, even in August. Further along you can find pretty sandy coves, hidden amongst stunning Algarve rocks and cliffs, with clear rock pools to explore. 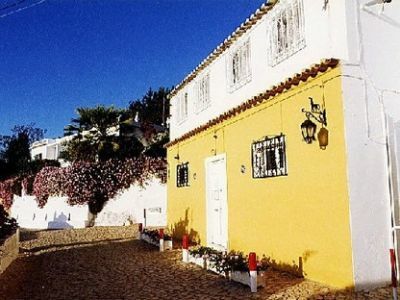 The villas offer accommodation for two to eight persons and are all furnished differently in local Portuguese style. Kitchen and bathroom facilities also vary form house to house. For winter occupation all villas have electric heaters and electric blankets and most have a log burning stove. Bed linen and towels (not beach towels) are supplied and changed weekly. A maid service is provided and babysitting can also be arranged. 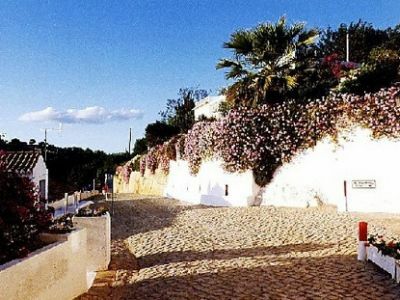 Cobbled paths and steps lead from the villas to all parts of the Quinta da Saudadethrough beautiful landscaped gardens, brimming with colourful Mediterranean plants and flowers. 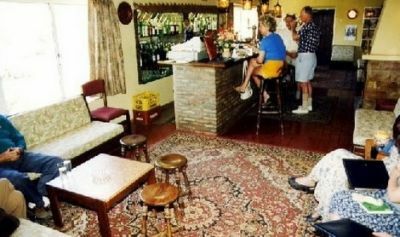 The original farmhouse has been converted into a comfortable independently run bar/restaurant serving excellent food. In the summer months there is also a poolside bar which serves light meals throughout the day and holds weekly evening barbecues. 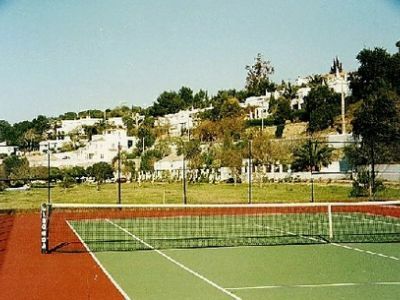 Situated midway along the Algarve coastline, the Quinta da Saudade is ideally placed for the many superb local sporting and leisure activities which are available. These include several world-famous golf courses, tennis centres, deep sea fishing, windsurfing, Zoo marine Park and water slide parks. The nearest golf is a the 18 hole Salgados links course which opened in 1994 and is a few minutes drive from the Quinta. 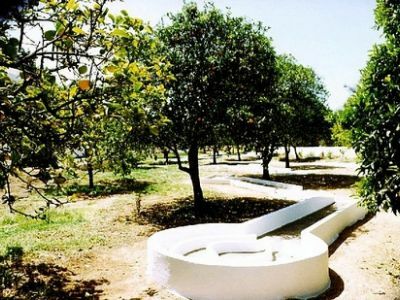 The Quinta da Saudade is an excellent place to stay for a relaxing out-of-season holiday or as a base for those who wish to tour the area by car, or explore the lovely Algarve countryside, which abounds with beautiful and often rare wild flowers and interesting birds. There are plenty of good country walks to discover in the area around the Quinta. Car hire is strongly recommended when you stay at the Quinta, although it is possible to get by using the local rather limited bus service. 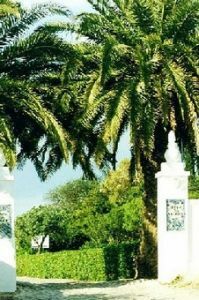 The Quinta da Saudade remains a peaceful, un spoilt haven, to which many people return year after year. 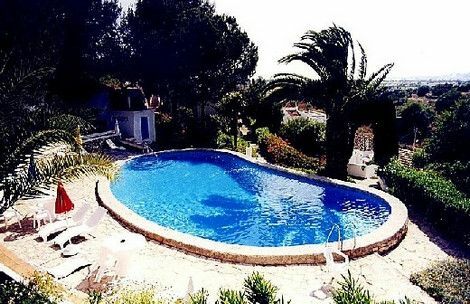 It is an ideal place for families, with its ‘club' facilities and the chance to meet others, but you have the privacy of your villas and can enjoy a quite, relaxing holiday here, away from other holidaymaker's. The small number of villas ensures that the Quinta is never crowded. To help you enjoy your stay, sort out any problems and provide you with any advice or information you require, the Quinta has its own friendly and efficient management.